Place our desoldering braid in contact with the joint you want to unsolder and heat with your soldering iron. 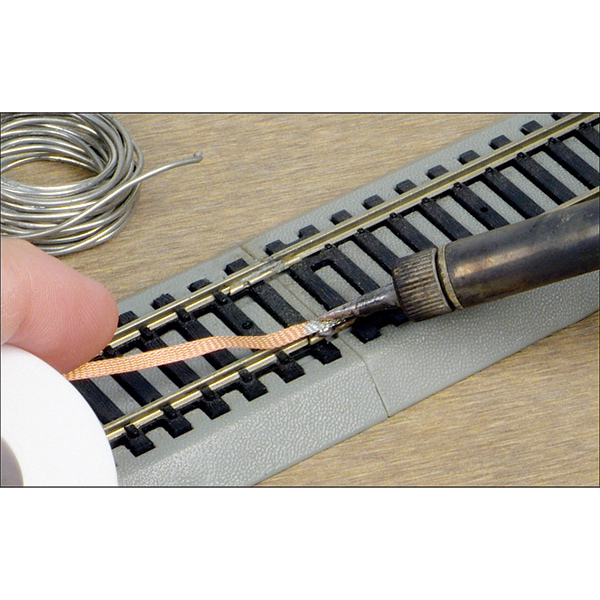 The flux-impregnated braid has strong solder-absorbing action, which will quickly and safely draw the solder out of the joint. You can then separate and renew the joint easily. Works on mechanical assemblies and electronic circuitry. Supplied in a 0.100 inch wide x 25 foot long roll.